In October of 2014, the first CFM LEAP engine took off from GE Aviation’s modified Boeing 747 flying test bed. The newly-minted engine circled the skies of Victorville, CA, completing a series of tests before finally landing after a nearly three-hour flight. Now, with more than 3 million hours of commercial service – the equivalent of 342 years in the air – and flying up to 10 hours with 25-minute turnaround times, the LEAP engine family continues to perform like a seasoned veteran while adding new capabilities for airlines around the world. When the LEAP engine program was launched in 2008, it was the first new centerline engine in CFM’s 34-year history. The company took the operational experience gained from nearly one billion engine flight hours on the ubiquitous CFM56 product line and used it to develop a brand-new engine with leading-edge technology rooted in advanced aerodynamics, environmental and materials technology. CFM evaluated 18 different architectures for the LEAP engine, including a geared fan. The company focused its technology decisions for the design based on airline priorities such as reliability, asset availability, and overall cost of ownership. When the LEAP design was finalized, it was infused with new architecture, materials and technology. It included the first-ever 3-D woven carbon fiber composite fan blades and fan case, ceramic matrix composites in the hot section, and the first use of 3D-printed parts for critical engine components. To date, the LEAP engine has required no significant design changes. “We set aggressive targets for this engine and had a technology plan is in place to achieve them,” Paxson said. These advancements produced a lighter and more efficient engine, translating into 15 percent better fuel consumption. 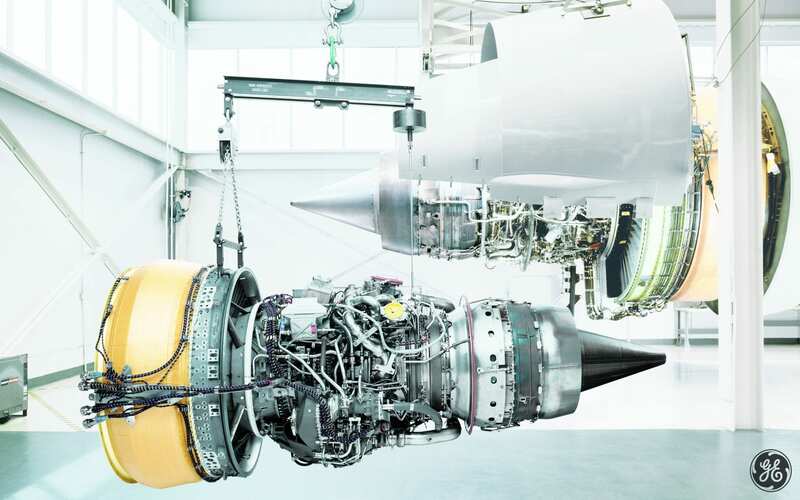 To reach its fuel savings target and ensure a smooth transition into service, the LEAP engine went through tens of thousands of hours of testing. The first LEAP core began tests in 2009, four years before the first complete engine was tested. A total of around 60 engine builds were completed. As the engine’s solid reputation continues to grow, so have the number of sales, with orders and commitments currently exceeding 16,500 engines. The LEAP family is in service with more than 85 airlines on five continents, powering more than 600 Airbus A320neo-family and Boeing 737 MAX-family aircraft. CFM delivered the first 1,000 LEAP engines in just 27 months, three times faster than the CFM56’s entry into service. The company closed the gap of an unprecedented ramp to meet LEAP customer demand in 2018 to delivery more than 2,100 LEAP and CFM56 engines, breaking its own industry record of 1,900 engines delivered in 2017.